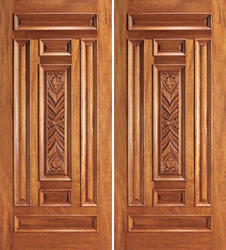 Offering you a complete choice of products which include double teak wood doors and swastik wooden teak double doors. Double Teak Wood Doors products are extensively demanded by our esteemed clients, owing to their high strength, termite resistance, light weight, durable nature and unmatched quality. In order to serve our clients’ in the best way, we are providing all these products in numerous specifications. Offered products find their usages in commercial as well as residential. 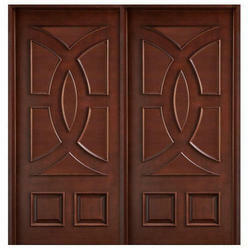 Swastik WoodenTeak Double Doors is Manufacturer, Wholesaler, and Trader off all types of doors in India. We offer an extensive range of Chemical Doors, Laminated Doors, Membrane Doors, Wooden Doors and much more. Owing to the efforts of our dedicated team of professionals, we have been constantly engaged in offering the best quality Wooden Door.